Our 3rd Grade side took on Merewether in their Semi full of confidence after good recent results saw them finish 3rd after the regular season. Merewether won the toss and unsurprisingly batted on flat surface at Harker oval. Wickets were hard to come by in the first session, with Nick Onslow(0/41 off 15), Simon Massey (1/40 off 13) and Singh Satnam (1/19) bowling well with the new ball without much luck. The second session opened up the game as the spinners took charge. Blake Morley (1-11 off 8) held up an end, allowing Olivier Koehn to attack from the other. 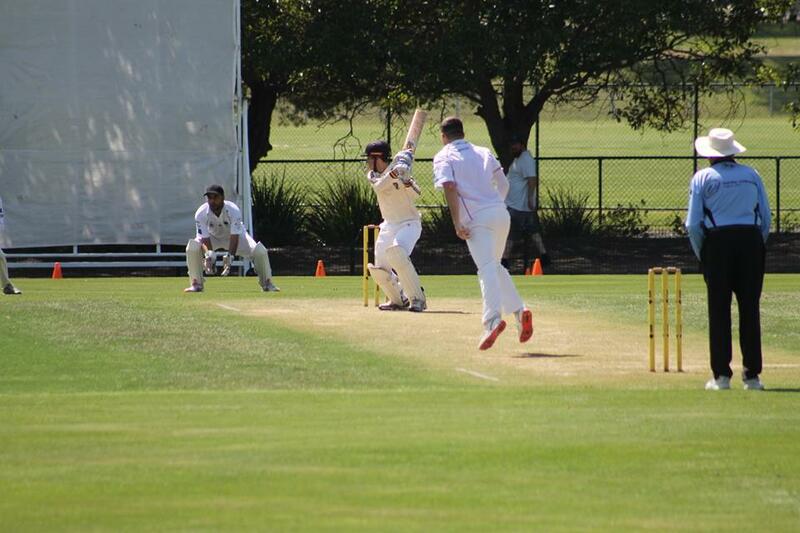 Oli took 5/26 in a great spell of legspin bowling for his first 5-for for the club. This 10 over stint saw Merewether collapse from 3/153 to be all out for 172. That left 9 overs on day 1 to negotiate, and 2 wickets made the chase all that much harder, going in to Sunday 2/20. The overnight rain led to a wet pitch and a delayed start, but Simon Massey(39) batted well in the morning sesson on Sunday to put them in a good position, but the rest of the lineup failed to fire, all out for 100. 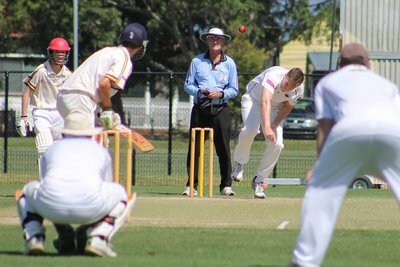 They played on for a second innings, but Merewether batted well to hold out at 5/73 across 34 overs. Oli picked up a 6th wicket for the match, and Liam Wilson took 2/13. Good season boys, lots of talent in this team that we expect to be playing higher grades next year. 4th Grade had a complete reverse in fortunes. With Crunch winning the toss and batting, Merewether found wickets easy to come by early, with us at one stage falling to 6/60. 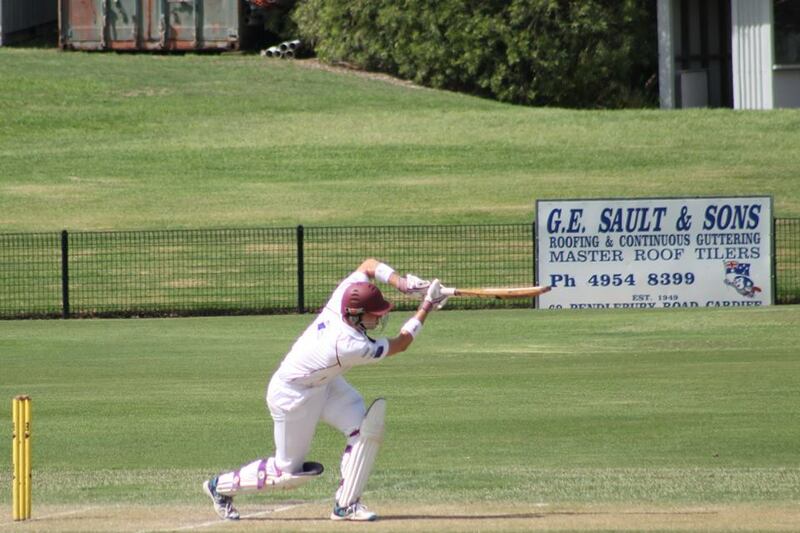 Todd Hearne (69*) came to the rescue, guiding the side to a competitive 148 with the tail all reaching double figures. Importantly they batted 67 overs to make the chase harder. Unlike for 3rds, the overnight rain became an advantage for our 4ths. 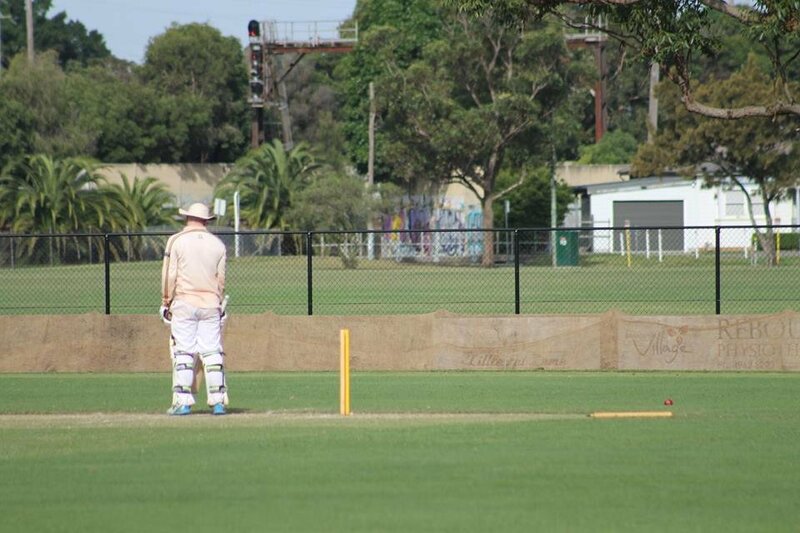 Will Palmer and Steve Christie each picked up an early wicket, but at 2/50 and with Phil Stanbridge at the crease, Merewether were still in the box seat. Enter Robert Redpath (3/20) who took a hattrick across 2 overs, combined with a Matthew Penglaze wicket to reduce them to 6/53. 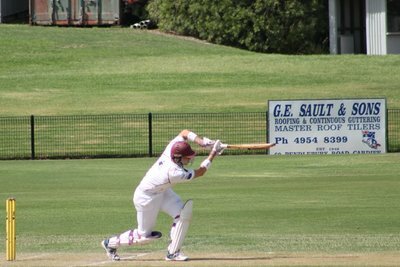 Merewether fought back strongly from there with a 58 run partnership, before Martin Francis (2/11) took the 2 key wickets, with Stanbridge departing for 77 to a stunning catch on the boundary to Mitchell Hunt. The game looked like going to the death, and it nearly did, with Merewether finally bowled out for 137, Matthew Penglaze taking the final wicket to send the boys to the Grand Final with an 11 run win.